No industry has been more affected by the events of the last decade than that of airlines. 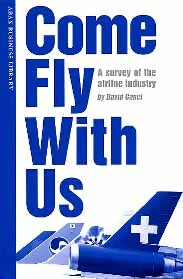 Come Fly With Us is a look at the industry today, its history and how it is likely to change in future. A business extensive reader at the 1200 word level. Come Fly can be read individually by students for enjoyment or can be used as a class reader by teachers wishing to expose their students to business English.